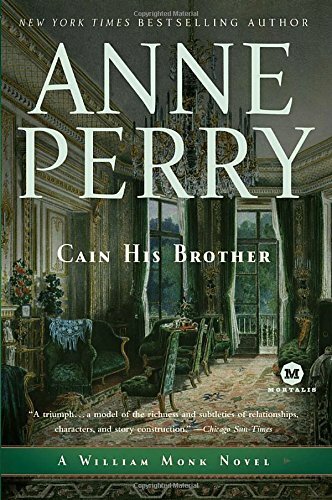 I enjoy Anne Perry's writing; great atmosphere, well-paced, always interesting, clean but lovely with the romantic tension between Monk and Hester; the story is written, not told, meaning the reader can read the action and see it rather than having it explained - it is good writing. Monk is hired to find a missing husband, it is suspected that the missing man was killed by his violent twin brother. Hester is working with typhoid victims in Limehouse. Monk is not having much success and gets sidetracked with a beautiful woman with nefarious intentions. Hester is so clever. She rescues him from that mess, and she also prolongs legal proceedings long enough for Monk to come back with the solution to the mystery. Lovely. I thoroughly enjoyed reading this mystery.